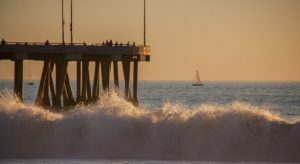 Ontario City is the perfect gateway to discover the treasures of Southern California. Here are some tips to find the best things to do in Ontario, CA ! Ontario in Southern California might be less well-known than its namesake north of the US border, but it’s a hidden gem to discover nonetheless. Situated in scenic San Bernardino County just 35 miles east of downtown LA, it’s also part of the Inland Empire metropolitan area which includes Palm Springs and the Coachella Valley. It’s blessed by stunning scenery, a collection of pretty parklands, and an eclectic but laid-back cultural scene with cool cafes, brilliant bars and much more. If you fancy a detour from California’s more mainstream tourist traps, Ontario’s an outstanding choice — here are ten trips for tourists. Does soaking yourself in a natural spa sound blissful? Then head to Glen Ivy Hot Springs — apart from the renowned mineral waters and spa treatments, you’ll find farm-to-table lunches in the Ivy Kitchen. If you want to enjoy the great outdoors, Cucamonga-Guasti features two fishing lakes, a swimming complex with water slides, and enough picnic spots to send Yogi Bear into ursine ecstasy. North Etiwanda was established as a habitat preservation area in 1998 and birdwatchers might know that it’s a hotspot for the Coastal Californian Gnatcatcher. If ornithology’s not your bag, the verdant grasslands and majestic mountains are magnificent. This Scandinavian-themed Ontario amusement park is fun for all the family, with a rollicking rollercoaster, Baltic bumper boats, Viking ship and more — check height restrictions for younger children online. Want to grab great fun for the speed demons in your family? Book indoor Go Karting at K1 to see how they cope with hairpin bends and tight chicanes in a controlled and safe environment. The complex also includes a vibesy video arcade and restaurant. Ontario Mills might be the best place in the city for a spot of refined retail therapy. With boutiques ranging from Aeropostale to Zumiez, it’s easy to splash cash on something special. If spas, shopping and speeding round a track have stimulated your appetite, you’ll find some of the best seafood in the state at Market Broiler — the snapper veracruz and shrimp is simply divine. If you check in at The Office on Facebook, friends and family will be impressed with your work ethic — while you slake your thirst with cheap cold beer and enjoy big screen sports at this fab no-frills bar. Hampton Inn & Suites is a conveniently located and comfortable hotel where a sumptuous daily hot breakfast is standard, and amenities include a fitness center and outdoor pool — it’s the ideal base for your Ontario adventure. You can fly non-stop to 21 destinations from Ontario’s busy air hub, so hopping around North America is easy if you’re based here for a while. And if you need to leave your ride at Ontario airport while you’re elsewhere, find airport parking at Looking4.com in a flash. That’s our list! Share your own Ontario travel advice in the comments section.